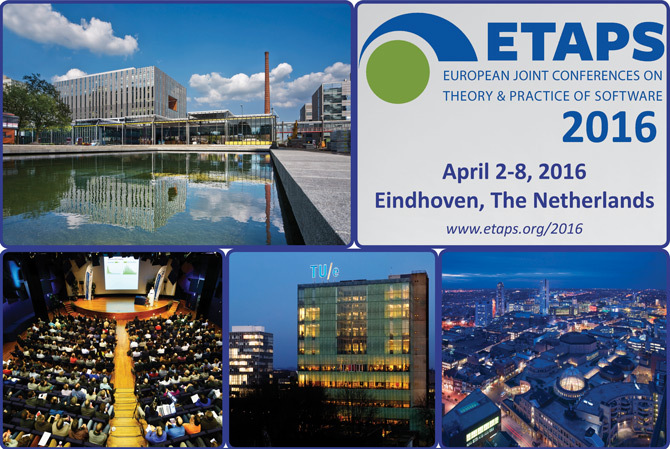 ETAPS, established in 1998, is a confederation of five main annual conferences (ESOP, FASE, FOSSACS, POST and TACAS) accompanied by satellite workshops and other events. The nineteenth edition, ETAPS 2016, took place in Eindhoven, The Netherlands. Recordings of the invited lectures and tutorials are available on the ETAPS 2016 YouTube channel.